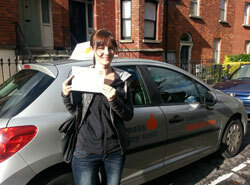 "An excellent driving school, I had a wonderful instructor that prepared me fully for my test." "Great instructor, made everything so easy, delighted to pass first time"
"First time test and first time pass and its brilliant, I only got a few marks on my sheet and pass my test helped me right throughout, thanks pass my test, great." "Pass My Test were absolutely excellent. My driving instructor took me around the test routes several times until I knew them and I passed my driving test on my first attempt. I’m so happy and thanks to pass my test I now have my full license. Thank you"
"Great driving lessons with a great driving instructor, thank you to pass my test for all your help, I am so happy I passed, thanks"
"I am totally amazed by the driving lessons I got with pass my test. I was with a few other driving schools before and they came nowhere close to these guys, wow. Thank you for helping me pass first time." "I passed first time, thanks to the tuition and support of passmytest"
"Thanks so much for all your help, couldn't have done it without you"
"My instructor was very professional and patient. During EDT he helped me with understanding all rules of the road and got rid of my bad habits. The pre-tests gave me an excellent opportunity to simulate test day scenarios and gave me confidence to pass my test. Would highly recommend them. 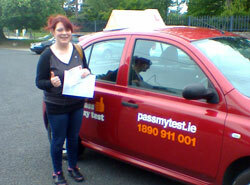 Thanks again"
"Absolutely delighted to pass first time, great tuition, couldn't have done it without passmytest." "I would like to highly recommended pass my test to anyone wanting to learn to drive and pass their test. they are the best and I passed first time with them easily and confidently. Thank you very much pass my test." 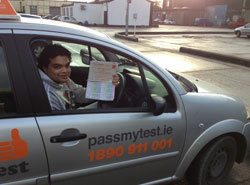 "I chose PassMyTest because they were good value for money. After putting off learning to drive for years their relaxed and simple approach was exactly what I needed and my instructor was great. Thank You PassMyTest!" "As the build up to attempt number 4 of the dreaded test I began I had to search for yet another driving instructor. My friend highly recommended passmytest.ie . They were great, no messing around. They quickly identified my areas to focus on, everything was calm, straight talking and gave constant feedback, both positive and negative. (In a neutral way...unlike some of my previous instructors who were more like nagging parents or ex girlfriends.) Cheers brah!" "These guys made the test seem easy, I got great pointers and everything I was told I did and I got my test, thank you very much. Great prices too!" "Very professional lessons. I've had lessons before and these came nowhere close to these. I knew from the getgo that I was onto a winner with these guys. Thanking you very much." 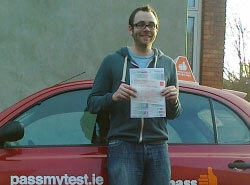 "I never thought it will feel this good but haha it feels amazing and yes I passed, thank you very much pass my test." "Great experience, thank you so much! My instructor was amazing, he thought me everything I needed to know, at a very good price also. I am very glad I chose you!" 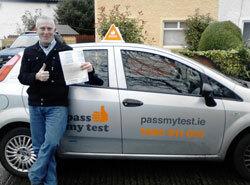 "Pass My Test helped me to pass my test with confidence. My instructor was extremely calm and helpful right up to the day of my test. I was pleasantly surprised when I got only one grade 1 mark against me in the actual test. Delighted, thank you passmytest :-)"
"Thanks a million. I found the lessons brilliant, really informative and practical. My instructor told me exactly what I needed to do to pass my test and I got it. Thank again guys." "I was very happy with the lessons I got and felt confident going into my test which I passed first time..."
"So glad I passed my test, delighted. It really wasn't as bad as I thought it would be but I guess that was down to pass my test and my instructor, fair play guys, great lessons, great prices, I'll be recommending you." "What can I say only pass my test know their stuff, passed my test with a few pre-tests and that's basically it, brilliant, thank you so much." 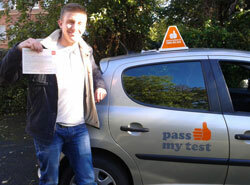 "Great instructor, made everything so easy, delighted to pass first time." "Pass my test helped me right throughout, thanks pass my test, great." "My driving instructor took me around the test routes. I passed my on my first attempt." 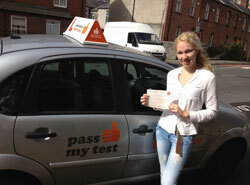 "Great driving lessons with a great driving instructor, thank you to pass my test." 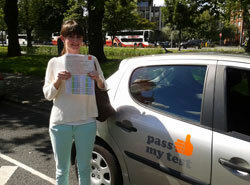 "I am amazed by the driving lessons I got.... Thank you for helping me pass first time." "Thanks so much for all your help, couldn't have done it without you." "My instructor was very professional and patient. Would highly recommend them." "They are the best and I passed first time with them easily and confidently." 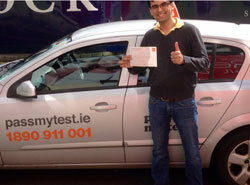 "Their relaxed and simple approach was exactly what I needed...."
"My friend highly recommended passmytest.ie . They were great, no messing around." "These guys made the test seem easy .... Great prices too!" "I knew from the getgo that I was onto a winner with these guys. Thanking you." "... it feels amazing and yes I passed, thank you very much pass my test." "My instructor was amazing, he taught me everything I needed to know"
"Pass My Test helped me to pass my test with confidence. My instructor was calm and helpful "
"I found the lessons brilliant, really informative and practical. Thank again guys." "I was very happy with the lessons I got and felt confident going into my test...."
"So glad I passed my test, delighted. I'll be recommending you." "Passed my test with a few pre-tests and that's basically it, brilliant, thank you so much." From the very first second you sit into the car with your Pass My Test driving instructor, you will know you’re going to pass your driving test for driving lessons dublin. Your driving lessons dublin will be broken down step by step to ensure that you learn every single last detail you need to know in order for you to pass your driving test and to ensure nothing is left to chance. We teach you the same way we were taught as driving instructors. That is to have no faults at all in your driving test. When you learn to drive in such a way you become the best possible driver you can be and when you sit your driving test you will confidently pass it without even thinking about it. Our results say it all and people from all across the country now choose Pass My Test as their Number 1 Driving School. Having an excellent pass rate for driving lessons dublin it’s no wonder we have become the leading driving school in Ireland. Have a look around the site; see all the happy smiling pictures and all the wonderful testimonials from students who took their driving lessons with us and passed with us. We here at Pass My Test don’t just talk about getting you through your driving test, we follow through in what we say, meaning you learn with us, you pass with us, easy. 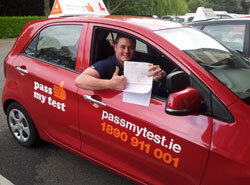 When you get your driving lessons you are sure to be part of our excellent pass rate and we’re looking forward to getting your picture onto our website to show how you passed with driving lessons Dublin. Welcome to Ireland’s Leading Driving School, Pass My Test. Our name says it all and what we do better than any other driving school in the business is; get you through your driving test first time easily and confidently, simple as that. 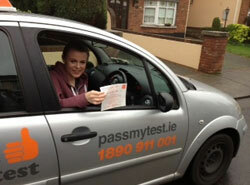 Pass My Test on FM104’s The Strawberry Alarm Clock! Pass My Test on Radio Nova! Only the best of the best driving instructors get to join the ranks of Pass My Test. Each and every driving instructor who applies to join our highly professional team must have a very high pass rate in their ADI Exams. They then must prove to us that they know the driving test routes in their areas and they must show us that they can get the student through the driving test first time round. We guarantee you your Pass My Test driving instructor will be friendly, patient and highly knowledgeable. It’s safe to say we have the best driving instructors in the country and you will soon realise this when you have your full licence in your hands. 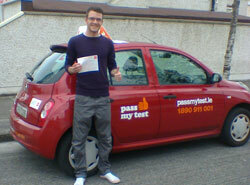 Pass My Test offers driving lessons Dublin to the whole of the county. We have driving lessons Dublin from one end of the county to the other. 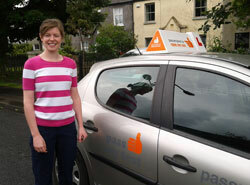 Driving Lessons Dublin is where we are and what we do. 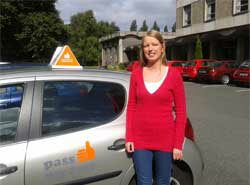 Choose Pass My Test for Driving Lessons Dublin. 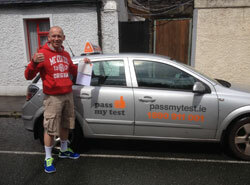 Pass My Test changed the driving lesson industry for the better by offering students competitive and affordable rates for driving lessons Dublin. When other driving schools are still asking way above the odds for driving lessons we have always kept our prices the lowest and best in the industry. Please see our prices page. 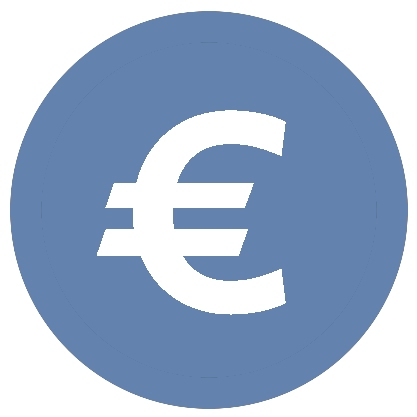 We offer students the option to pay as you learn for driving lessons Dublin and also the best block deals you will find anywhere. If you live, work or study in Tallaght and you’re looking for a driving school that can teach you to learn to drive and pass your driving test first time round, then look no further. 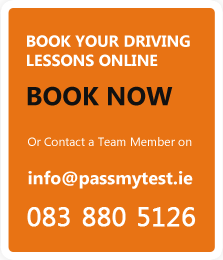 Pass My Test has it all and its plain to see just from looking on our home page what we have to offer students looking for driving lessons in Tallaght. We have an excellent Pass Rate in Tallaght. Well that’s easy. We hire only the best driving instructors in Tallaght who have demonstrated to us that they know the Tallaght driving test routes like they know the inside of their house. 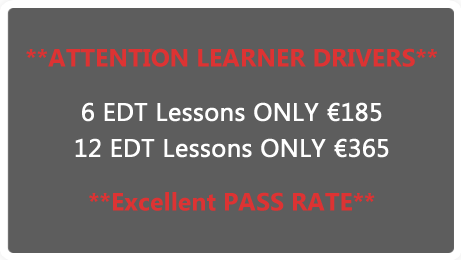 We put all our Tallaght Driving Instructors through our very own special In-House Pass My Test Teaching Exam to see if they are up to scratch and if they don’t make the cut, they do not get to join Pass My Test’s elite team of driving instructors. Its our attention to every last detail that makes us the best. Not for one second to we settle for second best because if we do then we just end up being another one of the hundreds of driving schools out there just giving ordinary driving lessons with ordinary results. 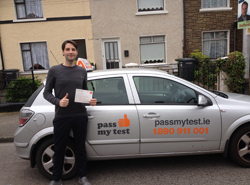 The excellent pass rate which we have reached is something that we’re not letting go of and if you’re looking for Driving Lessons in Tallaght then you’re sure to pass your test with us. No other driving school comes close to what we do and its very easy to see why. All our students know that when they sign up for lessons with us, they’re sure to pass their driving test first time round and this is why everyone in Tallaght is choosing Pass My Test as their number one driving school. 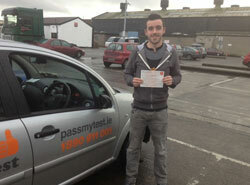 The joy of what we do here at Pass My Test is that we cover every single area within Dublin and its surrounds so that we can ensure everyone in Dublin can pass their driving test first time round with us. Isn’t it great to know that there’s a place where you can go to learn to drive and know that you’re going to pass your driving test when you learn with them. That driving school is us and we’re delighted that we can help you achieve your goal in learning how to drive and pass your driving test first time. 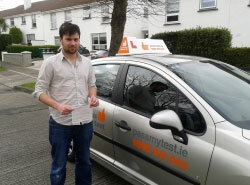 If it’s Driving Lessons in Rathgar you are looking for we have a team of highly skilled driving instructors ready and waiting to teach you to drive and pass your driving test quickly and easily. There’s a myth going around Rathgar that the Rathgar Test Route is one of the hardest test routes in Dublin. This myth only exists for the unfortunate students who get their driving lessons from a driving school that does not prepare the student the way they should. Let us reassure you that that the only people saying this are the people who failed here. Yes the Rathgar Test Routes are difficult if you can’t drive and if you’ve had bad driving lessons. Yes you’ll fail if you don’t know what you’re doing here and this is the only reason people fail. We’re sure you’ve heard of this saying but if you haven’t then read these wise words “Fail to prepare, prepare to Fail”. This saying doesn’t need much explanation other than this is why people do not pass The Driving Test in Rathgar. We will have you so well prepared going into your driving test in Rathgar that it will just be another days driving for you and you will not find The Driving Test hard at all. Your Pass My Test driving instructor will take you around all of the Rathgar test routes and show you everything you need to know and more. You will have pre tests, you will know where your manoeuvres are, you will know the questions you will be asked. There is nothing you won’t know going into your driving test in Rathgar. 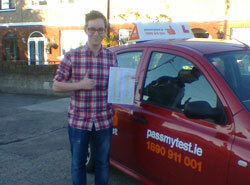 This is why you are going to pass your driving test with us and this is why we have a excellent pass rate in Rathgar. We’re the number one driving school now in Rathgar and we’re the most popular driving school now in Rathgar because we get the best results continuously and student drivers in Rathgar know it. With the majority of students looking for Driving Lessons in Finglas choosing Pass My Test as their preferred driving school, we have become the leading player now in Finglas and we thank all of you for choosing Pass My Test. Its not by chance we have become the best driving school in Finglas, we worked hard to achieve this and we’re working hard every single day to ensure we stay on top. The Finglas driving test routes are ones we just love to teach but they really don’t differ that much to any other test route in Dublin. As we always tell our students; let us teach you to drive and you won’t care where you sit The Driving Test. It is great to know the Finglas test routes and rest assured we will show you each one of them until you know them off by heart. But you will soon realise when you get your driving lessons with us that knowing the test routes inside out is not really a prerequisite. The Driving Lessons in Finglas you will get from us will leave you with all the skills necessary to pass your driving test with flying colours. If you’re not from Finglas do not worry as a lot of our students have never driven at all and we teach from right from beginner lessons to passing the driving test. There are lots of roundabouts on the Finglas test routes and if you’re not sure how to negotiate a roundabout properly then you will after a lesson with us. You will see so many people indicating inappropriately at roundabouts in Finglas and worse still, not indicating at all. We do not blame people for not knowing what to do at roundabout because it’s the way they were taught. We’re here to ensure that you get taught the right way, the only way and that will ensure you know all there is to know about driving. This will make you one of our elite students who is sure to pass The Driving Test in Finglas on your First attempt. We’re confident in saying that If You Learn With Us You Will Pass With Us. This is not a statement, this is a fact. For your driving lessons dublin you won’t just get ordinary lessons, you’ll be getting the best driving lessons dublin has to offer. We want you to be the next pass photo on our website so if you’re ready to learn to drive and get your full license then book your driving lessons with us now.